So, I kept wondering why the hell Greek yogurt was twice the price of normal yogurt. Basically, Greek yogurt is twice strained yogurt. The straining makes it thicker and changes the proportions of its composition. 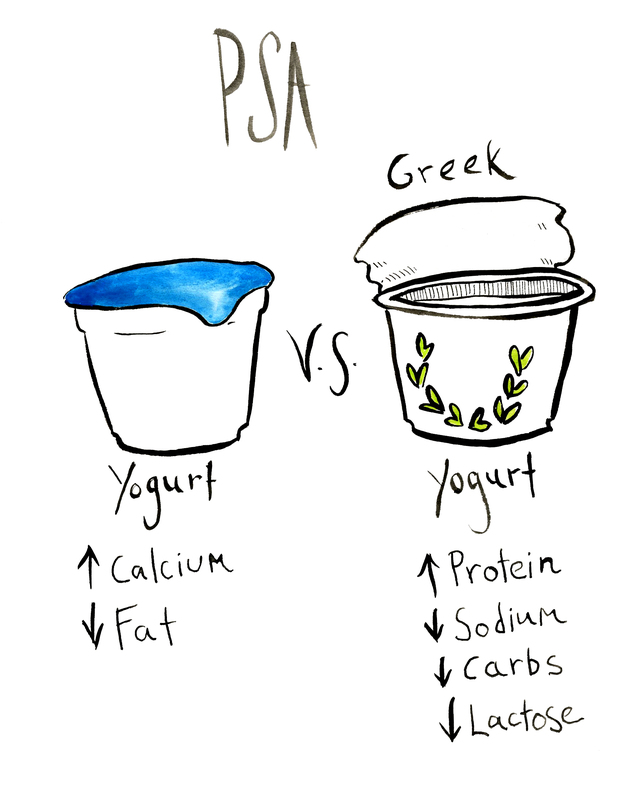 Also I like drawing yogurt pots. Next post and we’ll be back to poetry. This entry was posted in Uncategorized and tagged comics, greek yogurt, illustration, Ink, nutrition, water color, yogurt. Bookmark the permalink.